As a trusted American furniture buyer & appraiser having over 40+ years of experience in Antique Buying & Estate Liquidating, you be can rest assured you’re dealing with a genuine and authentic American antique buyer. Perhaps you have some American furniture and folk art you’d like to sell? If you are thinking about selling a piece of antique furniture, there’s good money to be made in this market. Before you make any purchase or sale though, you need to make certain what you’re buying OR selling is an authentic piece. 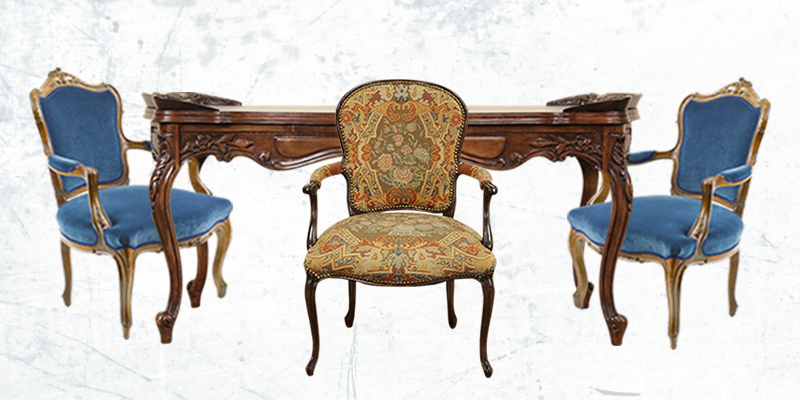 Where can you Sell Antique Furniture? Many people do go to antique furniture auctions because they believe they have a good chance of getting amazing pieces for a good price. If you’re looking to sell off your collection of antique furniture or have a family inheritance you’d like to liquidate, William Smith can set up a private sale OR make your items the part of the various auctions we have through the year. With over 50 years of experience in the Auction industry & 40+ years of experience in buying & Appraisal services we offer the best prices for american & other antique furniture. Over the years we have built enduring relationships with our customers and dealing exclusively within New York, Connecticut, Arizona has made us amongst the best local antique furniture buyers. Styles of American Antique Furniture that sell for best prices. When you’re looking for American antique furniture, you’re likely to hear a number of different terms thrown about like Sheraton, Hepplewhite, Biedermeir, and even some French furniture styles that were made in the U.S. Many American antique furniture buyers are looking for a specific style. They may only be interested in collecting Georgian furniture, for example. This style was made during the 18th century and is quite popular. Others, though, may only be interested in Regency pieces. This is why it’s important to understand what it is you have before you offer your items for American antique furniture auctions or decide to sell pieces. We can not only help you understand and learn about the various styles & which ones are the most valuable, but we also buy antique furniture at the best prices. Before buying any antique furniture, our team assists you with appraisal services to ensure that you get the best price for your antique. Folk art is another area where you need to understand the value of each piece you own. To ascertain the market value of every piece of art, we carefully evaluate & appraise to make certain it’s authenticity and genuineness. We go over every inch of the canvas if that’s what’s needed in order to verify that it’s a true piece of American folk art. We also offer to purchase exceptional pieces of American folk art and include pieces of folk art in our regular auctions. If you are looking “Best Place To Sell American Antique Furniture & Folk Art” in New York, Connecticut & Now Arizona Area. With over 40 years of experience in the industry, you can trust that you’re getting the best price possible. Contact us today!